The BAU Institute residency welcomes multicultural and multidisciplinary artists who have been working independently for over five years to its 2019 summer residency. 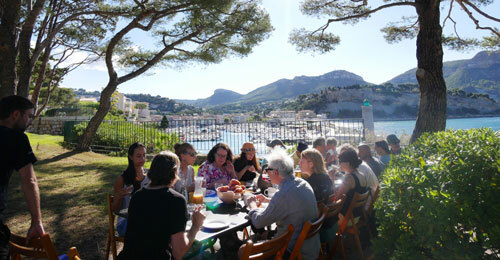 Hosted at the Camargo Foundation and located in the Mediterranean village of Cassis, France, it offers fellowship awards in visual arts, writing, performance and film. The mission of the BAU Institute is to organize residencies to support the realization of projects in the arts within an international, multicultural, and multidisciplinary community of Fellows. The BAU Institute is a 501(c)(3), non-profit arts organization registered in NY.